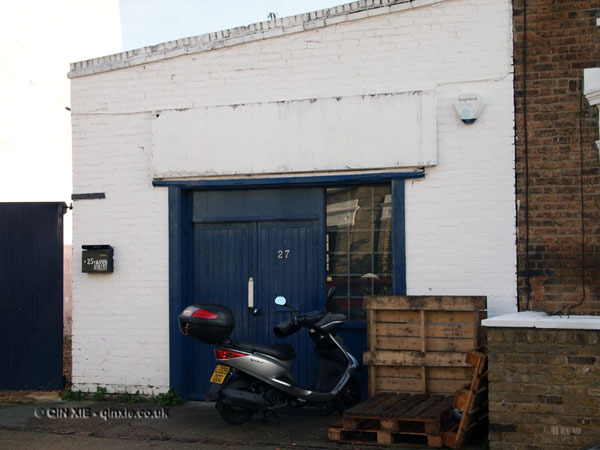 Behind one nondescript blue door on a quiet residential street in Hammersmith, a single garage is the home of the microdistillery producing award-winning spirits. Located on the site of a former microbrewery, Sipsmiths is the brain-child of Sam Galsworthy and Fairfax Hall. Taking advantage of a little wintry sunshine, I went to meet the makers to learn a little more. Through the blue door, the distillery is clear – the still is at the back, the ingredients in the middle and the office just a couple of steps in. The office was already a hive of activity when I enter. Although Sipsmith is still a relatively small operation, it already seems to be bursting at the seams with five core members of staff and the occasional intern. Sam gives me a brief introduction to Sipsmiths before handing me over to Fairfax. 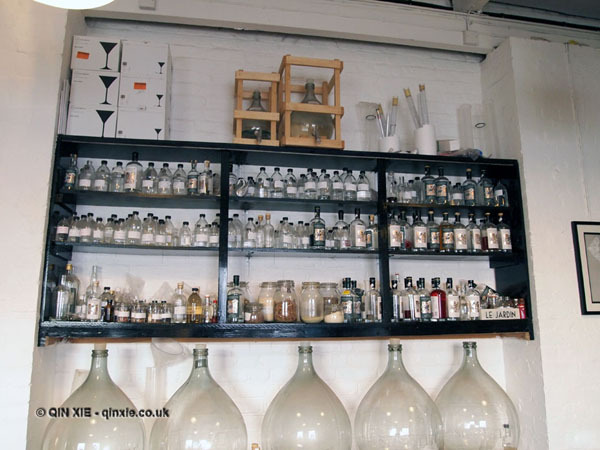 The inspiration for the microdistillery came in 2002. Sam was working for Fuller’s in America and Fairfax had just started an MBA there. During their time abroad, they saw an explosion in the popularity of microbreweries and microdistilleries due to changes in legislation and were both fascinated by the processes involved. Having visited many establishments and sampled the small-batch beers and spirits, they were surprised and impressed by the quality of the products. Sam and Fairfax soon found themselves drawn to the idea of opening their own distillery in London, the home of gin. Back in the UK, the idea lay dormant and Sam continued to work for Fullers while Fairfax went to work for Diageo. But it wasn’t for very long because in January 2007, they both quit their jobs, sold their houses and put all their effort into making their dream a reality. Of course it wasn’t as easy as simply leasing the premises, getting the equipment and creating the recipes to set up shop. They needed a licence for the distillery. Given that the last licence issued in London for a distillery was for Beefeater almost 200 years ago, the application process was long and tedious. For one, the procedure was dusty and unclear, and then there was the slow rotation of the bureaucratic clog itself. Sam and Fairfax pushed on nevertheless. And finally, after almost two years, they were rewarded with the licence to open a distillery in December 2008. Today the inconspicuous certificate hangs proudly by Fairfax’s desk. As he tells me the trials and tribulations of obtaining this document, the birth certificate of the distillery, he hands it to me. It looked like nothing more than a small piece of paper encased in a wooden frame but for them it meant a lot of hard work and persistence. Sam and Fairfax commissioned a copper still from the family-run still manufacturers Christian Carl. 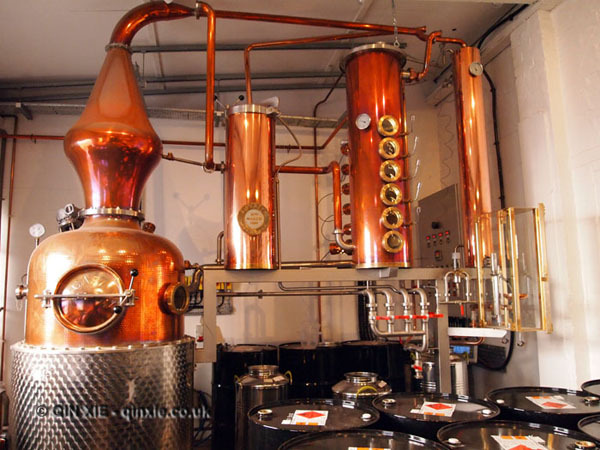 The still needed to be one that allowed them the flexibility to make different spirits and of a suitable size so they can make it in small batches. Copper was chosen because it purified the spirits during the distillation process, extracting sulphurs, ethers and fatty acids, so it didn’t need to be filtered post-production. They also employed the skills and knowledge of drinks historian Jared Brown to craft the recipe for their barley vodka and dry gin. On the 14th of March 2009, Prudence, Sipsmith’s new still, produced its first batch of vodka from British barley and soon afterwards, dry gin. It wasn’t until the end of June 2009, though, that Sipsmiths crafted the final product. Their hard-work has certainly paid off. Sipsmiths have won 10 international gold awards in the 17 months since their first bottle was sold and most recently, they won the award for Best Newcomer in the Observer Food Monthly Awards. This last one is currently occupying pride of place between Sam and Fairfax. These days Prudence sits at the back of the garage space reliably distilling spirits in small batches. So small in fact if you type the batch number on your bottle of Sipsmiths into their website, you can find a little anecdote about the day that the batch was produced. 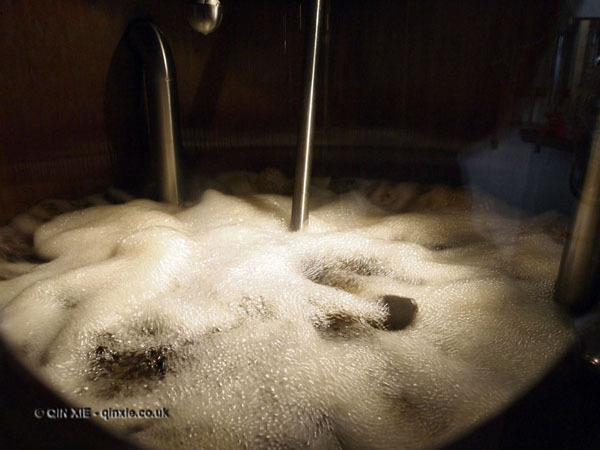 The small batches also helps to maintain the quality of the spirits produced. And to demonstrate, Fairfax offers me a sample. For the vodka, only the first heart cut (the portion with the highest quality) is bottled producing a spirit which is smooth and rounded with a hint of sweetness. The second heart cut is distilled again with 10 botanicals including juniper berries, citrus peel and coriander seeds to produce the very refreshing dry gin. The Sipsmiths likes to drink theirs with two parts Fever-Tree tonic to one part London Dry Gin, just add ice and lime. The head and tail cut of the distillates are currently wastage although, Fairfax tells me, a Sipsmith vodka car is on the cards. With that I leave the Sipsmiths to their business. As I step back out into the sunshine, I can’t help but smile and think of Hogarth. It’s barely 11am and there is just a hint of gin on my lips. Sipsmiths products are available nationwide at Majestic Wines and Oddbins. Within London they are available at Selfridges, Harvey Nichols, Harrods and selected Waitrose stores.